Even among inspirational teachers, Peter Tabichi stands out. So much so that Tabichi is the first specialist science winner of the 2019 Varkey Foundation Global Teacher Prize, sometimes called “the Nobel for education”, which comes with prize money of $1 million. 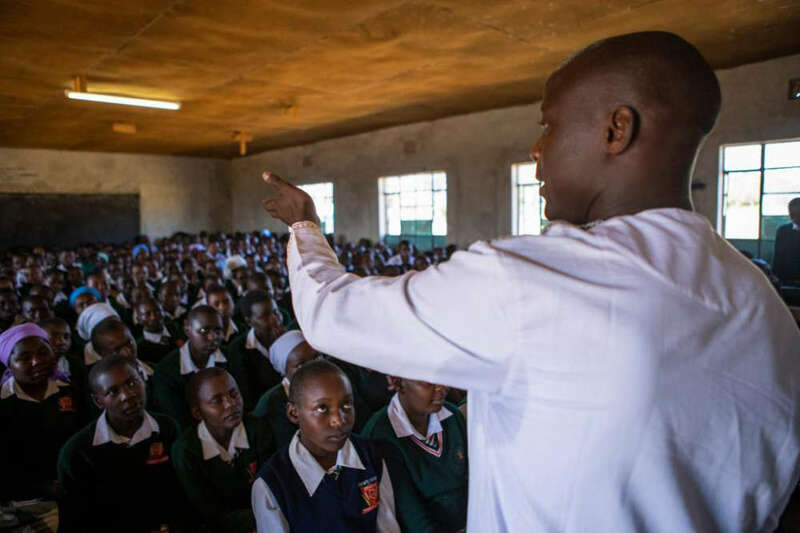 Tabichi teaches physics and mathematics in one of the most deprived schools in Kenya and gives away 80 percent of his income to assist his students and improve the school’s facilities. Tabichi is a Franciscan brother. Since 2015 when he moved from a relatively privileged private school Tabichi has taught at Keriko Mixed Day Secondary School, in the village of Pwani in Kenya’s Rift Valley, near where some of the oldest fossil human ancestors were found. Despite good growth in recent years, Kenya trails most of the world economically and Pwani is in one of its poorer regions. Almost a third of the students have lost at least one parent, and many frequently go without food. The school has one computer between 400 students and there are 58 students for every teacher. Some students have to walk 7 kilometers (4.4 miles) to get to school, often an impossible task in the wet season. Yet under these unpromising conditions, Tabichi rapidly built a culture that saw the school’s math and science team qualify to participate at an International Science and Engineering Fair in the US and his students win an award from the UK’s Royal Society of Chemistry for generating electricity from local plant life and sewage. In the space of a year, the number of Keriko students going on to college increased from 16 to 28. Girls’ scholastic achievement in particular has been boosted, with the girls leading the boys in all four tests set in the last year. The Global Teacher Prize was founded in 2015 after a survey of attitudes to teachers worldwide found falling respect for the profession, something Sunny Varkey, the Foundation’s Chair hoped to correct. As its profile has grown, so has the number of entries, rising from 5,000 nominations in its first year to more than 30,000 in 2018. Tabichi’s win was selected from 10 finalists, all of whose stories are worth reading if you wish to be reminded of the good in the world. Among these, Brazilian Débora Garofalo is also in STEM, teaching students at a school previously famous for violence to make robots out of waste products.